The Sony Xperia E5 Dual is a budget smartphone from Sony. It is small, sleek and can easily fit in your pocket. Sony boosted its presence in the mid range smartphone segment with the launch of Sony Xperia E5 Dual along with its single SIM sibling. It comes with average specifications but can handle most or general tasks one expects from a smartphone. The Sony Xperia E5 comes pre- installed with the new Android v6.0 (Marshmallow) operating system. Under the hood, the device is powered by 1.3 GHz quad-core cortex A53 processor, assisted by 1.5 GB RAM, delivering fast and smooth performance. It is also equipped with Mali-T760 MP2 graphic processor for handling graphic intensive operations. These hardware’s come integrated on MediaTek MT6735 chipset. The Sony Xperia E5 Dual features a 5-inch HD (720 x 1,280 pixels) display having pixel density of 294 ppi. The phone has a slim waistline or 8.2mm and its lightweight body is available in two colour options (white and graphite black) to choose from. Like other Sony smart phones, this device also features impressive cameras. On the back it features 13MP autofocus camera with LED flash. Other features present in the camera are digital zoom, auto flash, face detection, touch to focus etc. It also packs a 5MP front facing camera for selfies and video calls. This device houses 16GB space for internal storage and comes with expandable memory option supporting microSD card of up to 128 GB. Connectivity options present in Sony Xperia E5 are dual SIM, Wi-Fi with Hotspot, Bluetooth 4.1, GPS, microUSB 2.0 and also features NFC connectivity. Sensors included in this phone are accelerometer, proximity and ambient light sensor. The device is fuelled by li-ion battery having capacity of 2,300mAh that can provide battery backup of up to 2 days. Sony is launching a lovely phone that you will be very happy to keep it in your pockets. 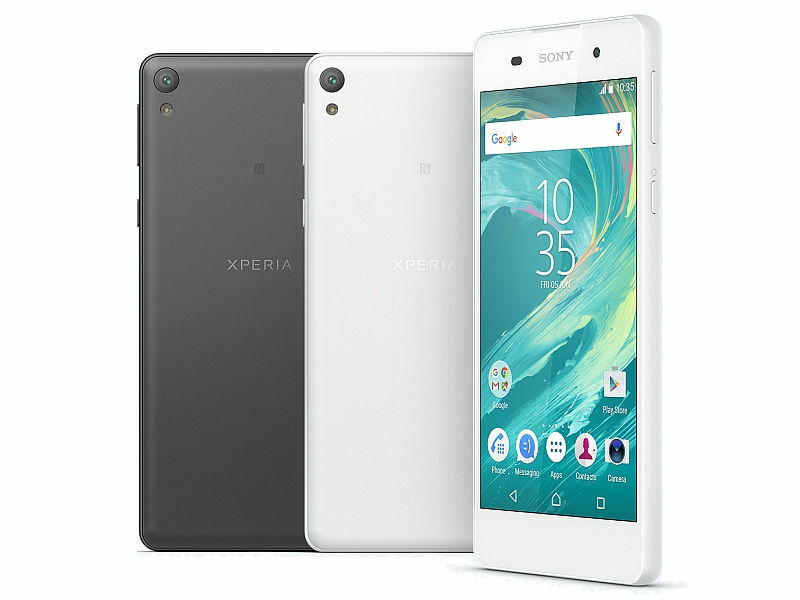 Sony Xperia E5 Dual is a Smartphone Powered by Android 6.0 Marshmallow which comes with 13 MP rear cameras with LED flash. It comes with average specifications but can handle most or general tasks one expects from a smartphone.